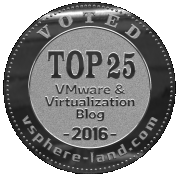 Also this year the results of the annual contest Voting for the top VMware & virtualization blogs are out on vSphere-land web site, after the usual live show where the top 25 were announced. 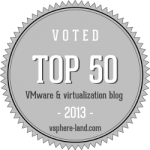 This content has become a big reference for all virtualization blogger (it’s not necessary a classification on who is best compared to another), but the top 5-10 are honestly the real top blogger. And it has become a ritual event in this period of each year (there is also a nice History of the Top vBlog). 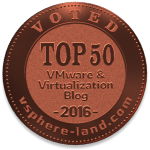 Also this year I’ve received some votes and vInfrastructure site is number 23 (last year was 31, two years ago 21, three years ago was 29, four years ago 40 and five years ago was 54) in the entire rank. Strange, but I’m back in the top 25, considering that in the last two years I really reduce the numbers of posts due too much work (and to keep enough spare time for my family). Congratulations for all the top 25 of the top list (and also the top in each specific list) and thanks to everybody has give me a vote. I appreciate it and hope to make better for the future. 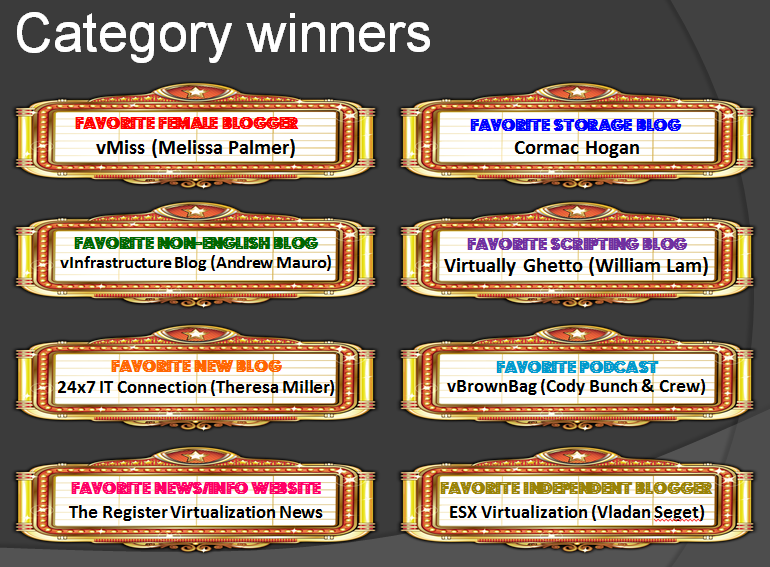 But this year there was also a huge surprise for me: my blog has been voted as the favorite non-english blog!